“The signature feature of Meherazad in India and Meher Spiritual Center in Myrtle Beach, SC, is that Avatar Meher Baba designated them both as his homes and that his Eastern and Western closest women disciples were at the heart of their respective development. It is the feeling of home and being at home that characterizes the experience of so very many pilgrims and visitors who come to these unique Baba centers. Through an examination of Meher Baba's words and actions, this treatise reflects on the future of Myrtle Beach as the place of world pilgrimage that Meher Baba predicted. 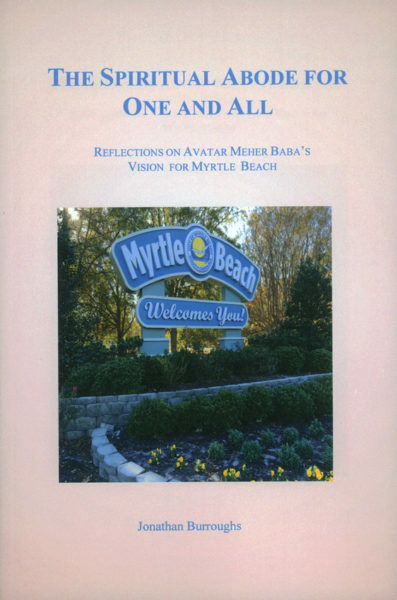 It considers (1) Meher Spiritual Center as his home, pervaded by his Love and presence, and characterized as a place of universality and freedom, and (2) how Baba's vision for Myrtle Beach as a “spiritual abode for one and all” might evolve cooperatively.